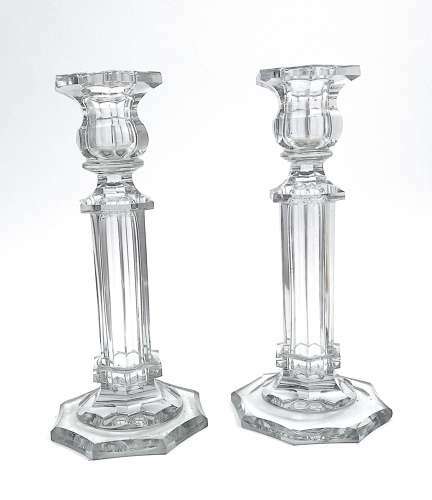 Pair of Antique French Cut Crystal Candlesticks with Hexagonal Bases and Hexagonal Tops. Inspired by the Classic Architecture of Antiquity, the Graceful Columns of these Pillar Candle Holders are Striking in their Weight and Clarity. They Glimmer Captivatingly in Candlelight, Making a Handsome Addition to a Dining Table Setting.